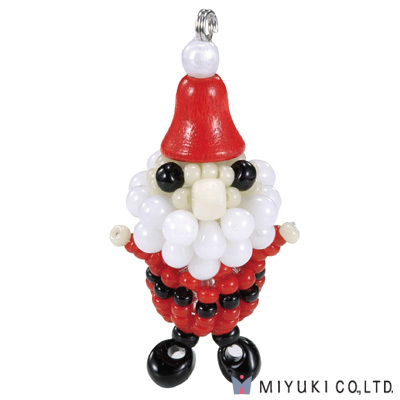 Charming little kit from Miyuki - to make little beaded charm! Tres Kawaii! Includes beads, thread, etc. Required additionally is tools like scissor, rulers, tape. Materials in kit are subject to change without notice. Please understand it. Some materials have extra. Instructions are full and with illustration and English. Make charming finished size approx. 3.5 cm. Happy charm for purse or cell phone or to share with friend. Ranking 3 out of 5 stars for level of hardness. Medium.